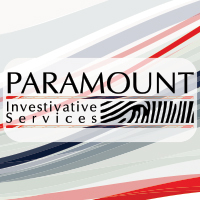 Home > Listings > Private Investigator > Paramount Investigative Services Inc. Hiring a private investigator in San Diego isn’t easy. Luckily there’s Paramount Investigative Services. We are licensed, insured, and have unmatched experience. We can handle all of your Investigative needs, covering all of San Diego CA. Not only do we cover San Diego and most of California, our reach is Nation wide. We have strategic partners in all 50 states! Our specialties are surveillance, locates, witness statements, record retrieval, and consulting services. We’ve got you covered. Have doubts? Check out our reviews on yelp, Google, and Facebook! If you’re not having your cases investigated today, you don’t know what the results a good surveillance investigation can do. We urge you to think about “the numbers.” Cases today are no longer 100K of the yester years. Personal injury cases seem to start in the several hundred thousand or just a few MILLION dollars. When you put your cases in this perspective or terms, surveillance is only .02% of the total cost of the potential claim. We can not tell you how often our surveillance results end up in quicker case resolutions, settle, or the jury awards them nothing like they’d hoped. So when it comes to surveillance we urge you to consider the cost of the claim and the cost to follow up. If there are a few untruths uncovered, it has all been worth it and if the person is injured, you know the claim is valid. At that point, it’s the cost of doing business. Workers compensation claims are on the rise, more cases equal more fraud. Period. Put yourself in the shoes of the claimant. They’re unhappy employees and are often times mistreated or they are simply unhappy individuals due to the increased cost of living. Sadly, these are just a few scenarios that should be investigated. Our San Diego Private Investigators will do what we do best, perform surveillance. If warranted, we can take statements, and with a few days of surveillance and records searches for follow up, results are inevitable. Workers compensation fraud is so rampant, that employers are fighting for themselves by hiring us to help support their suspicions. Or the insurance companies are too busy to see all of the red flags and that leaves the employer to take matters into their own hands. 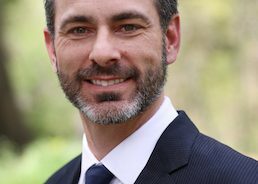 Child Custody cases are extremely volatile and require a San Diego Private Investigator’s experienced surveillance techniques. These case files range from parents who simply lie about income and or their ability to work, restraining order violations, and or alcohol abuse. Our expert surveillance investigators will get these parents to work and or capture the restraining order violations on video! Our videotape evidence and declarations will help your attorney demonstrate to the court that there is a need for a reevaluation of the current situation. Cheating Spouse surveillance are not only sticky business but they too can be big money. Today its been learned that now the spouse will file a claim of sorts too. Not only do they want money for running the household for years, they now are “injured” on top of it. This injury doesn’t allow them to perform or earn a living as they should. So back to the infidelity itself, no! No, you do not need video proof of a cheating spouse, you can simply divorce them. However, the video can come into play to show the courts the individual is lying. This takes some time, money and strategy with your divorce attorney. When done properly, it’s all worth it in the end. Surveillance is also for scenarios of untruths or to unveil the unknown. Paramount Investigative Services gets cases of all sorts; follow sales reps during their daily routs, to locating and providing the police with indisputable video evidence. Inquiry for Paramount Investigative Services Inc.